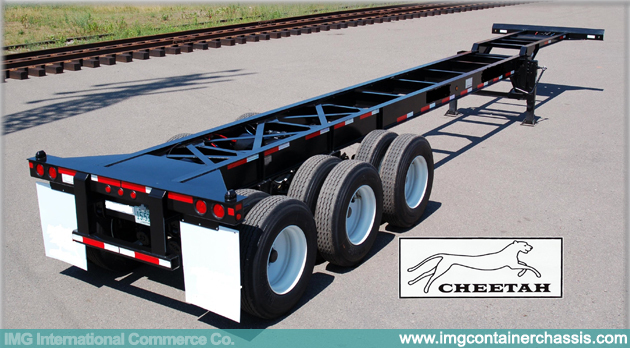 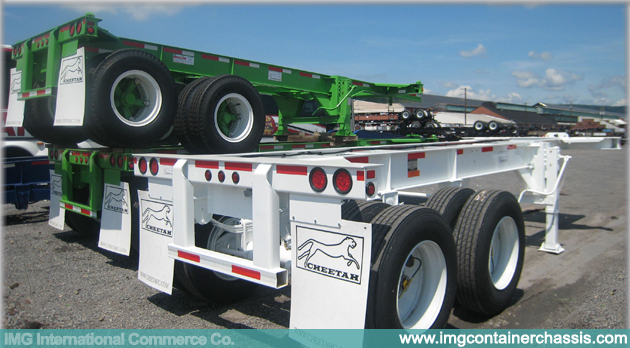 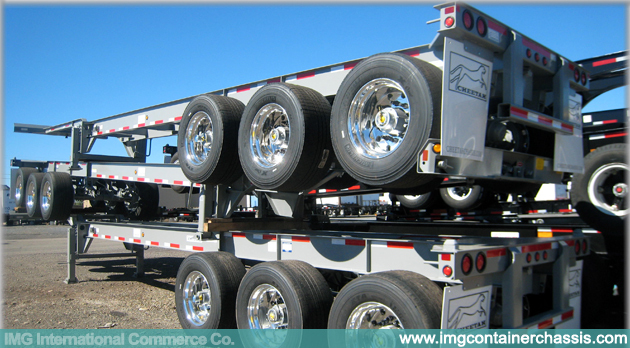 Designed to carry one 40’ ISO container or one 20’ ISO container in the US. 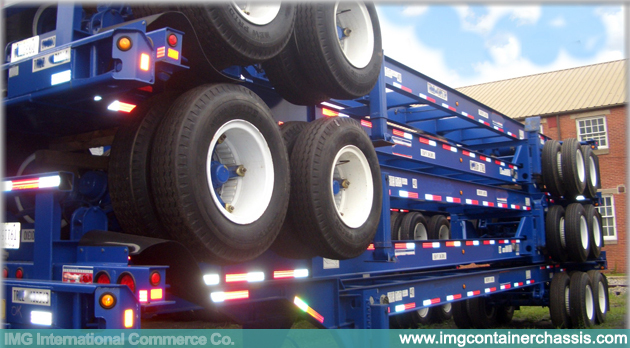 Twelve twist-locks add the ability to carry two empty or lightweight 20’ ISO containers. 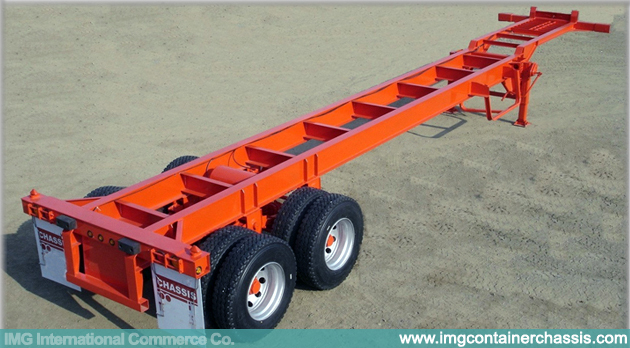 Designed to carry one 40’ ISO container or one 20’ ISO container in Canada. 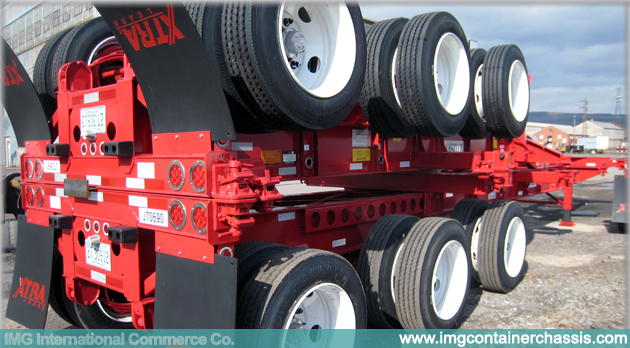 Flip up rear twist-locks make forklift loading easier.